A romance is a love affair or emotional attachment. In literature, the story of a romance between the hero and heroine is often idealized. In a recent BBC News survey, there were votting for "the most romantic novels of all the time. Atlanta native Margaret Mitchell’s 1936 novel, Gone With the Wind, occupies an important place in American literature. It's story about the Civil War and Reconstruction as seen from the Southern point of view. After breaking publishing records with one million copies sold within six months, the novel was awarded the Pulitzer Prize, has been translated into over forty languages, and remains one of the best-selling novels of all time.Even before the book’s publication, producer David O. Selznick had secured the film rights at Mitchell's asking price of $50,000, which was more than any studio had paid for the rights to an author’s first novel. The film debuted in Atlanta at Loew’s Grand Theatre in December 1939, breaking all box office records in the course of its first run. At the novel's opening in 1861, Scarlett O'Hara is a young girl. During the story she experiences Secession, the Civil War, Reconstruction, as well as three marriages and motherhood. This novel was published 1847, as Charlotte Brontë's first novel. Jane Eyre is a young orphan, who moves from one bad situation to another until she meets and falls in love with her Byronic hero, Mr. Rochester. 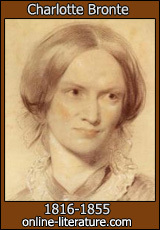 Jane Eyre is a coming-of-age story that is also a popular romantic classic. Pride and Prejudice is about the relationship of Elizabeth Bennet and Mr. Darcy, as arrogance, misunderstanding, and class all work to keep the couple apart. The novel has been called Jane Austen's best/finest novel, and it's also a romantic classic, set in 18th-century England. 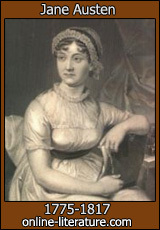 Jane Austen began her second novel, Pride and Prejudice, before she was twenty-one. It was originally titled First Impression because the appearances of the characters created the plot of the novel. However, because the novel is also concerned with the effects of the character’s first impressions, that is their prejudice, Austen found the title Pride and Prejudice more appropriate. Pride and Prejudice, similar to other Austen novels, is written in gentle or Horacian satire. The main object of Austen’s satire in the novel is the mercenary and the ignorance of the people, a common criticism of the 18th century. Wuthering ******s was the only work published by Emily Brontë. Passion is the over-riding force that drives the characters in this novel against the Gothic, wind-swept landscape. A passion between Heathcliff causes far-reaching repercussions. Read this Gothic romance. 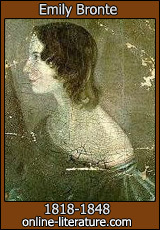 This story is narrated by Lockwood, a gentleman visiting the Yorkshire moors where the novel is set, and of Mrs Dean, housekeeper to the Earnshaw family, who had been witness of the interlocked destinies of the original owners of the ******s. In a series of flashbacks and time shifts, Brontë draws a powerful picture of the enigmatic Heathcliff, who is brought to ******s from the streets of Liverpool by Mr Earnshaw. Heathcliff is treated as Earnshaw's own children, Catherine and Hindley. 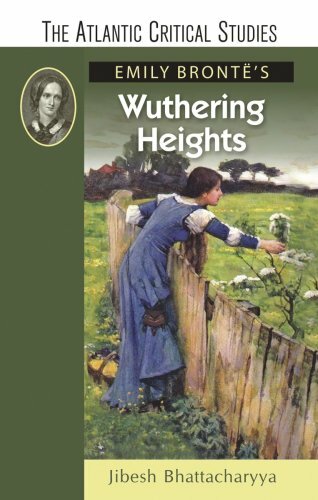 After his death Heathcliff is bullied by Hindley, who loves Catherine, but she marries Edgar Linton. Heathcliff 's destructive force is unleashed, and his first victim is Catherine, who dies giving birth to a girl, another Catherine. Isabella Linton, Edgar's sister, whom he had married, flees to the south. Their son Linton and Catherine are married, but always sickly Linton dies. Hareton, Hindley's son, and the young widow became close. Increasingly isolated and alienated from daily life, Heathcliff experiences visions, and he longs for the death that will reunite him with Catherine. Unlike most novels, Wuthering ******s' protagonists are anti-heroes; the very antithesis of what a hero is supposed to be. Instead of compassionate and heroic, Heathcliff and Catherine are selfish and petty. Instead of being blissfully in love, Catherine marries someone else and breaks Heathcliff's heart. Too proud to tell each other their true feelings, they fight, storm and rage against each other, destroying themselves in the process. Most people dislike this novel, for its gloomy perspective, tragic outcome and psychological drama.